I Dig Burrowing Owls Avery Signature Binder 8.5x11"
Burrowing Owls get their name from the fact that they nest in cavities underground (burrows). They use burrows dug out by other animals, or dig them out themselves. 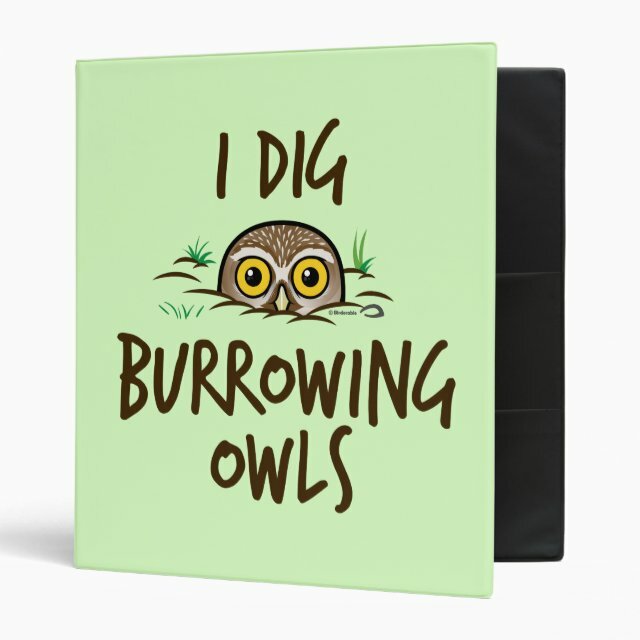 This cute original cartoon design is for anyone that loves Burrowing Owls. You can customize this gift! Move the design around, change the background color or style, add text or images -- make it your own!